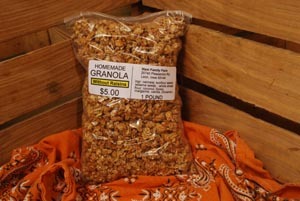 We sell our granola by the pound. INGR. 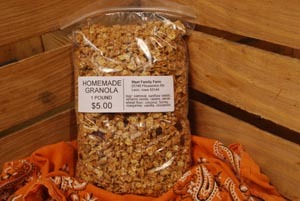 oatmeal, sunflower seeds, sesame seeds, whole wheat flour, coconut, honey, margarine, vanilla, cinnamon.